The argument of this book is that Friedrich Engels (more than Marx) provides the philosophical seeds for understanding the later development of socialist governance, if not the socialist state as such. The process of discovering these insights moves from reasonably familiar texts concerning states as they have existed thus far to quite unfamiliar and unstudied texts – especially from Engels’s later writings. 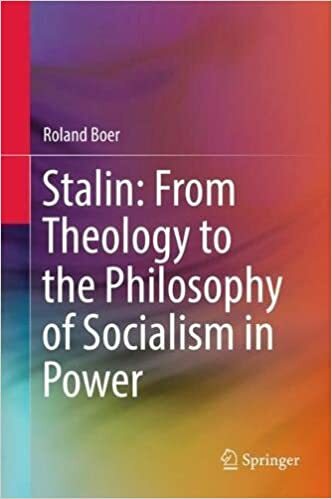 The book covers the following topics: the state as a ‘separated public power’; socialist force (Gewalt) and the dictatorship of the proletariat; from abolition to the dying away of the state; the enmeshed apparatus of socialist governance. The proposed work is significant not only because it will assist in identifying the philosophical origins of the historical reality of socialist governance, but also because such a detailed analysis of all the relevant texts by Engels has not – surprisingly – been undertaken before now. The closest that one finds is Hal Draper’s somewhat biased and incomplete five-volume work, Karl Marx’s Theory of Revolution (1977-2005). While Draper’s work is the most thorough in relation to textual analysis (as such material was available at the time), it is driven by an agenda that not only dismisses actual historical socialist states, from the Soviet Union to China, but also by a studied avoidance of important features of the texts. It also has a tendency to downplay the contribution of Engels and thus material that actually provides the philosophical basis for such forms of governance. 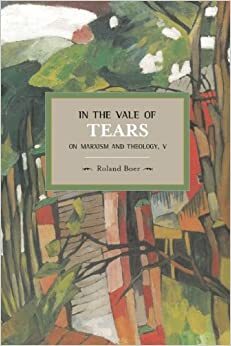 Other works on Marxist approaches to the state not only focus on Marx and largely ignore Engels, but do so with an agenda that stresses the Paris commune and ignores material on dictatorship of the proletariat and the use of force. Further, many such works assume – based on partial and selective reading – that both Engels and Marx held to the view that immediately after a communist revolution, the state would wither or ‘die away’, with the consequent assumption that the historical development of socialist governance goes against the theoretical view of Marx and especially Engels. This book begins to show that such a view is partial and thus mistaken. The method deployed is simple but profound: careful and close attention, in original languages and translation, of all the relevant texts. Only by this method is one able to develop a complete analysis. The introduction has two main tasks. The first is to provide an overview of Marx’s reflections on the Paris Commune and the dictatorship of the proletariat. Based on an earlier study (Boer, ‘Marx’s Ambivalence: State, Proletarian Dictatorship and Commune’. International Critical Thought), it presents a tension in Marx’s thought between the two, a tension he began to resolve in terms of a narrative from the dictatorship of the proletariat to the commune. He began to do so, but never resolved it, so the task fell to Engels. The second task of the introduction outlines the argument of the four chapters of the book. The first chapter deals initially with Engels’s programmatic observations on hitherto existing states, which would set the subsequent agenda not only for Marxist studies of such states, but also the Weberian tradition (Weber’s definition of the state borrows heavily from Engels). Apart from noting the key features of this analysis, which involves the core idea of the state as a ‘separated public power’, the chapter focuses on Engels’s shifts between seeing such states state as semi-autonomous, as instruments of a particular class in power, or as shaped in their very nature by the class in question. Engels moves between these three overlapping approaches, depending on the point he seeks to make, but he tends in more detailed work to opt for the third: that the nature of the state is determined by the class in power. This position emerges particularly in a relatively ignored work, ‘The Role of Force in History’. Here Engels offers an analysis of Bismarck in Germany that is a close companion to Marx’s ‘Eighteenth Brumaire’, with the specific point that the bourgeoisie was able to shape the state in its image indirectly, even when it did not hold the reins of power. Even more important is the emergence of a core category, Gewalt. The word is difficult to translate, so a study of Engels’s texts reveals the senses of force, power and violence. This provides a rather new angle, not only on his proposal that hitherto existing states may be defined as a ‘separated public power [Gewalt]’, but that ‘The Role of Gewalt in History’ is vitally important. The key finding of this chapter is Engels’s emphasis on proletarian Gewalt, in both the revolutionary process and in the early stages of the construction of socialism when power is gained through a revolution. The concrete manifestation of this socialist Gewalt is the dictatorship of the proletariat, which Engels (like Marx) defines carefully not as an individual dictatorship (as with Bakunin) or by a small band (Blanquist), but as a collective dictatorship by the majority, the workers. On this basis, Engels’s important contribution was to go beyond Marx in identifying the Paris commune with the proletarian dictatorship. Although suggested in the early 1870s, he does so clearly in the 1890s. The context was a struggle with the moderates of the increasingly large German Social Democratic Party, which tried to dispense with the dictatorship of the proletariat in its program and work within bourgeois democracy. In light of later tendencies in European communism to downplay the proletarian dictatorship and idealise the Paris commune (for example, with ‘Eurocommunism’ and the tendency among some European Marxists), Engels explicit argument that the commune was the exercise of the proletarian dictatorship, even that it did not go far enough in exercising such a dictatorship, is a timely warning. The chapter concludes by analysing Engels’s explicit usage of ‘socialist Gewalt’ itself, both before and after a revolution. Crucially, Engels points out that political power also has economic influence and potency (Potenz). Engels is responsible – in the third edition of Anti-Dühring – for coining the phrase, ‘dying away’ of the state (often translated as ‘withering away’). This chapter analyses how this emphasis arose, an emphasis that is also described as the eventual dissolution or gradual disappearance of the state as a spearated public power. The chapter has three parts. To begin with, it examines how Engels (like Marx) shared the view of ‘primitive anti-statism’: the idea that the state would need to be actively ‘abolished [abschaffen]’ as one of the first acts after a revolutionary seizure of power. The second part analyses the life-and-death struggle with Bakunin and the Anarchists, whose position was clarified only in the 1870s. A key component of their platform was the abolition of the state as the first revolutionary act, which Bakunin attempted in Lyons in 1870. Indeed, the incident at Lyons – in which Bakunin decreed the abolition of the state only to be arrested shortly after and bundled out of town – was a key moment when both Engels and Marx realised that such abolition was futile. Thus, the third part of the chapter examines how the emphasis on the dying away of the state arose, with Engels clearly indicating that it would be one of the final outcomes of socialism in power, after the proletarian dictatorship had transformed economic and social structures. Only then – eventually and gradually – would the state as a separated public power dissolve as a natural process. This may take a long time indeed. The final chapter analyses how Engels envisaged the construction of socialist governance – with the caveat that he had never experienced this process directly and could draw only from the brief experiment of the Paris commune. It begins by studying Engels’s extensive work on ‘pre-state’ formations, where he identifies complex structures of governance, elections, representative bodies, sovereignty and Gewalt. Further, the chapter offers a careful analysis of the important text, ‘The Mark’, which dealt with the German tradition of the Markgenossenschaft. This tradition influences German law today, in which common rights still apply to farmland. For Engels, this practice is a relic of ‘pre-state’ formations, in which land was held in common, although it was modified in light of subsequent developments. The important argument – directed at peasant farmers – is that the communism of the future would entail a dialectical transformation (Aufhebung) of what is sometimes called ‘primitive communism’. But what should this organisation of the future be called? Given Engels’s definition of the state as a ‘separated public power’, he cannot call it a ‘state’. Instead, he uses the terminology of ‘social organisation’ and ‘administrative functions’, which may also be called the ‘enmeshed apparatus’. In other words, many functions of governance would be needed, a situation that can be described as the need for the apparatus of governance without separation from society. Or, as Engels puts, the organs of social organisation and governance ‘stand in the midst of society [steht eben mitten in der Gesellschaft]’. This means that a socialist state would not be alienated from society but thoroughly enmeshed within it, so much so that one cannot speak of ‘state’ and ‘society’ as distinct elements. In this light, the term ‘socialist governance’, or perhaps ‘enmeshed state’, are to be preferred. The conclusion to the book outlines the way Engels’s contribution provides the philosophical basis for future developments of socialist governance, or what is now called the ‘socialist state’. This process entails drawing out philosophical insights from historical and anthropological studies, which has been the concern of the book as a whole. These insights include: the need for socialist Gewalt (dictatorship of the proletariat, which is one with communist society) in constructing socialist society and economics; the dying away of the state as a long-term and gradual process; the enmeshment of the apparatus of governance within society, so that it is no longer possible to distinguish state from society or indeed from the economy. Implicit in these points is a progression, with a strong socialist Gewalt as the means for transforming economic and social realities, as well as providing the basis for beginning the process of the dying away of the state as a separated public power. This process is gradual and long-term, entailing that as hitherto known forms of the state fade away, new types of governance arise, types that are enmeshed within society rather than separated from it. This may be seen as a socialist Aufhebung of the state. Subsequent historical developments in actual constructions of socialism – from the Soviet Union to China – would be faced with new problems, for which new solutions were and are needed. But Engels’s contribution was to provide some important bases for such developments. Or, as Engels put it in 1890, ‘So-called “socialist society” is not, in my view, to be regarded as something that remains crystallised for all time, but rather being in process of constant change and transformation like all other social conditions’. Note: For the sake of rapid identification, English titles are provided here, although the book works with original texts. 1872. ‘The Congress of Sonvillier and the International’. MECW 23: 64-70. 1872. ‘The General Council to All Members of the International Working Men’s Association’. MECW 23: 205-10. 1872. ‘The Congress at The Hague (Letter to Enrico Bignami)’, MECW 23: 271-76. 1872-1873. ‘The Housing Question’. MECW 23: 317-91. 1873. ‘On Authority’. MECW 23: 422-25. 1873. ‘The Bakuninists at Work: An Account of the Spanish Revolt in the Summer of 1873’. MECW 23: 581-94. 1873-1874. ‘Varia on Germany’. MECW 23: 599-610. 1877-1878. Anti-Dühring: Herr Eugen Dühring’s Revolution in Science. MECW 25: 3-309. 1880. ‘The Socialism of Mr. Bismarck’. MECW 24: 272-80. 1880. ‘Socialism: Utopian and Scientific’. MECW 24: 281-325. 1882. ‘On the Early History of the Germans’. MECW 26: 6-57. 1882. ‘The Frankish Period’. MECW 26: 58-107. 1882. ‘The Mark’. MECW 24: 439-56. 1883. ‘Engels to Philipp Van Patten in New York (Draft). London, 18 April 1883’. MECW 47: 9-11. 1883. ‘On the Death of Karl Marx’. MECW 24: 473-81. 1884. The Origin of the Family, Private Property and the State. In the Light of the Researches by Lewis H. Morgan. MECW 26: 129-276. 1884. ‘The Decline of Feudalism and the Emergence of National States’. MECW 26: 556-65. 1887-88. ‘The Role of Force in History’. MECW 26: 453-510. 1891. ‘Introduction to Karl Marx’s The Civil War in France’. MECW 27: 179-91. 1891. ‘A Critique of the Draft Social-Democratic Programme of 1891’. MECW 27: 217-32. 1894. ‘On the Association of the Future’. MECW 26: 553. 1895. ‘Introduction to Karl Marx’s The Class Struggles in France’. MECW 27: 506-24. 1872. ‘Preface to the 1972 German Edition of The Manifesto of the Communist Party’. MECW 23: 174-75. 1872. ‘Fictitious Splits in the International. Private Circular from the General Council of the International Working Men’s Association’. MECW 23: 79-123. 1872. ‘To the Spanish Sections of the International Working Men’s Association’. MECW 23: 211-13. 1872. ‘Resolutions of the General Congress held at the Hague from the 2nd to the 7th September, 1872’. MECW 23: 243-253. 1873. ‘The Alliance of Socialist Democracy and the International Working Men’s Association. Report and Documents Published by Decision of The Hague Congress of the International’. MECW 23: 454-580. A few months before Engels died a crucial struggle emerged in the communist movement. It had to do with Engels’s introduction to Marx’s The Class Struggles in France, 1848 to 1850 (Engels 1895 , 1895 ). Marx’s original text had been published as a series of articles in Neue Rheinische Zeitung over 1849-1850. In 1895 it was decided by the editorial board of the German Social-Democratic Party to gather the articles and publish them as a distinct book, so they approached Engels for advice and with a request to write an introduction. After some hesitation, Engels agreed, sending three articles that Marx had written and suggesting a fourth chapter that he had gathered from later material (some written by both Marx and Engels) to be entitled ‘The Abolition of Universal Suffrage in 1850’ (Engels 1895 -f, 444; 1895 -e, 410). The title of the whole work, by which it is now known, was also proposed by Engels. Soon afterwards, he also sent them the introduction. This introduction includes a long assessment of the situation in the 1890s with regard to military action by insurgents, street fighting and barricades. With his long-standing military knowledge, Engels assesses the changing circumstances in terms of tactics, weaponry and perceptions of the public in response to revolutionaries. He also notes the rise of communist parties as electoral forces, urging caution and careful assessment of the new context before engaging in such actions. The risk of failure is even greater and the possibility of moral victory attained in earlier efforts has largely vanished. Yet he firmly holds to the need for revolutionary action in the future, which would have to carefully considered and revised: fewer skirmishes before a major revolution are more likely, but revolution is still required. Before examining the fate of this introduction, let me set the context. It appeared at a time when the communist movement worldwide had made considerable progress. Political parties had established themselves and gained hundreds of thousands of members, especially in Germany, a situation that produced considerable debate over theory, policies and programs. The catch was that they now were able to operate largely within the structures of the bourgeois state and its form of democracy. Pressure grew to soften communism’s more radical edges, since some felt that these threatened the new-found legitimacy of the parties in question. The push for moderation was enhanced by the famous anti-socialist laws instigated by Bismarck from 1878 to 1890. Even though support for the German Social-Democratic Party grew during this period, questions arose. Should the party continue to advocate ‘illegal’ means, such as revolution and proletarian dictatorship? Or should it be content to work within the existing structures and pursue peaceful transition? To return to the introduction. Upon receiving the text for publication, the executive of the Social-Democratic party became decidedly anxious. They were torn between immense respect for Engels’s authority and their delicate political position in Germany. Not only were the anti-socialist laws still fresh in everyone’s memory and experience, but the Reichstag was also debating in the early months of 1895 yet another law aimed at preventing a ‘coup-d’état’. Thus, the editors were working at a feverish pace to complete all of the publications in case the law came into effect (Engels 1895 -a, 453), but they were also keen not to aggravate the situation. So they asked: would Engels please tone down the excessive revolutionary tenor of the piece so as not to incite the authorities? He was sent a copy-edited text in which all references to future revolutionary militancy were altered or excised. At times it was a phrase, at times a sentence and at times a whole paragraph. In his reply to Richard Fischer in March of 1895, Engels was clearly unhappy with the efforts to subscribe to absolute legality under any circumstances. Nothing can be gained, he writes, by ‘advocating complete abstention from force’; no person, no party would forfeit the right to resist ‘by force of arms [Waffen in der Hand]’ (Engels 1895 -e, 457; 1895 -d, 424). Yet, he understood the party’s position in Germany and so relented on some editorial changes but resisted five others that would have changed the meaning entirely. A couple of weeks later, he wrote to Kautsky that his text had suffered to some extent from the ‘apprehensive [umsturzvorlagenfurchtsamlichen] objections, inspired by the Subversion Bill, of our friends in Berlin’, but he also acknowledged that in light of circumstances he ‘could not but take account’ of these objections (Engels 1895 -c, 480; 1895 -b, 446). From the side of the editors, perhaps Bebel’s letter to Engels a few days later captures the tensions best: ‘We do not ask you to say something that you do not wish to say – or may not say – but we ask you not to say something which, if said at this time, would be embarrassing for us’ (Blumenberg 1965, 795). The story has further twists. Under Liebknecht’s guidance, the editors disregarded Engels’s reservations and pressed ahead with all of the changes they had made. They published selections from the introduction in the leading article of Vorwärts, number 76, on 30 March, 1895, under the title ‘Wie man heute Revolutionen macht’. The authorship was attributed to Engels. Upon receipt of the issue of Vorwärts, Engels was incensed. The next day he wrote to Kautsky: ‘I was amazed to see today in in the Vorwärts an excerpt from my “Introduction” that had been printed without my prior knowledge and tricked out in such a way as to present me as a peace-loving proponent [friedfertiger Anbete] of legality quand même’. He requested that the complete text should be published in Neue Zeit so that ‘this disgraceful impression [schmähliche Eindruck] may be erased’ (Engels 1895 -b, 486; 1895 -a, 452). And he promised to give Liebknecht and others involved a piece of his mind for disfiguring and ‘perverting [zu entstellen]’ his views. Neither would eventuate. As for the letter to Liebknecht, perhaps it was the advancing throat cancer – from a life of enjoying tobacco and alcohol – that prevented him from castigating those involved. Perhaps the letter has been lost. As for the anticipated rectification in Neue Zeit, the journal published the introduction in the heavily edited form in numbers 27 and 28. And the book, The Class Struggles in France 1849-1850, appeared in the same year with the introduction in the form that the editors deemed fit. Only much later would the full original text be published. What are we to make of this important moment? While Engels did not use ‘dictatorship of the proletariat’ in his introduction, Marx had deployed it for the first time in the very same text that was now being published in book form. Clearly, many were uncomfortable with the idea and its militancy. So we may resort to a betrayal narrative, in which the ‘revisionists’ – taking advantage of Engels’s failing health – betrayed the need for revolution for the sake of parliamentary reform. Or we may follow the line of many at the time, who suggested that Engels had realised the need for peaceful parliamentary means within the structures of the bourgeois state (Hunt 2010, 238-39). Or we may invoke a line from Engels a few years earlier: ‘do you want to know what this dictatorship looks like? Look at the Paris Commune. That was the Dictatorship of the Proletariat [Das war die Diktatur des Proletariats]’ (Engels 1891 -b, 191; 1891 -a, 16). For some, the conflation of the commune and the dictatorship assists in softening the militant and violent import of the dictatorship in favour of comradely cooperation (Johnstone 1971; Balibar 1977, 58; Miliband 1991, 151; Van Ree 2015, 77, 115). By contrast, I suggest that Engels may be the best guide here, as reflected in his observations to Paul Lafargue a couple of days after he became aware of what had happened. He accuses Liebknecht of playing a ‘fine trick [Streich]’ on him by taking from his introduction ‘everything that could serve his purpose in support of peaceful and anti-violent [Gewaltanwendung verwerfende] tactics at any price’, especially in light of the threat of new laws against the socialists. At this point, we can easily suggest that Engels had been betrayed, but then he writes: ‘I preach those tactics only for the Germany of today and even then with many reservations [mit erheblichen Vorbehalten]’. Despite his best instincts, Engels realises the need for such an approach in a particular situation. In certain circumstances, it is necessary to adapt for a time in order to advance the cause. Some may call this ‘opportunism’, but if so, it is a productive opportunism, a needed zigzag so that the project may continue. Liebknecht, Engels feels, lack this sense, seeing only black and white: ‘Shades don’t exit for him’ (Engels 1895 -d, 489-90; 1895 -c, 458). In other words, communism requires not one or the other, not revolution or reform, but appropriate tactics for specific circumstances. Engels’s legacy would come to fruition with subsequent communist leaders, especially those who actually experienced socialism in power such as Lenin, Mao, Deng and indeed Xi Jinping. Balibar, Etienne. 1977. On the Dictatorship of the Proletariat. London: NLB. Bernstein, Eduard. 1899. Die Voraussetzungen des Sozialismus und die Aufgaben der Sozialdemokratie. Stuttgart: Dietz Nachfolger. ———. 1993. The Preconditions of Socialism. Cambridge: Cambridge University Press. Blumenberg, Werner. 1965. August Bebels Briefwechsel mit Friedrich Engels. The Hague: Mouton. Engels, Friedrich. 1895 -a. ‘Engels an Karl Kautsky in Stuttgart, London, 1.April 1895’. In Marx Engels Werke, Vol. 39, 452. Berlin: Dietz. ———. 1895 -b. ‘Engels an Karl Kautsky in Stuttgart, London, 25.März 1895’. In Marx Engels Werke, Vol. 39, 446-48. Berlin: Dietz. ———. 1895 -c. ‘Engels an Paul Lafargue in Le Perreux, London, 3April 1895’. In Marx Engels Werke, Vol. 39, 454-58. Berlin: Dietz. ———. 1895 -d. ‘Engels an Richard Fischer in Berlin, London, 8.März 1895’. In Marx Engels Werke, Vol. 39, 424-26. Berlin: Dietz. ———. 1895 -e. ‘Engels an Richard Fischer in Berlin, London, 13.Febr. 1895’. In Marx Engels Werke, Vol. 39, 410. Berlin: Dietz. ———. 1895 . ‘Introduction to Karl Marx’s The Class Struggles in France‘. In Marx and Engels Collected Works, Vol. 27, 506-24. Moscow: Progress Publishers. ———. 1895 -a. ‘Engels to Eduard Vaillant in Paris, London, 5 March 1895’. In Marx and Engels Collected Works, Vol. 50, 453-55. Moscow: Progress Publishers. ———. 1895 -b. ‘Engels to Karl Kautsky in Stuttgart, London, 1 April 1895’. In Marx and Engels Collected Works, Vol. 50, 486. Moscow: Progress Publishers. ———. 1895 -c. ‘Engels to Karl Kautsky in Stuttgart, London, 25 March 1895’. In Marx and Engels Collected Works, Vol. 50, 480-83. Moscow: Progress Publishers. ———. 1895 -d. ‘Engels to Paul Lafargue at Le Perreux, London, 3 April 1895’. In Marx and Engels Collected Works, Vol. 50, 487-90. Moscow: Progress Publishers. ———. 1895 -e. ‘Engels to Richard Fischer in Berlin, London, 8 March 1895’. In Marx and Engels Collected Works, Vol. 50, 457-59. Moscow: Progress Publishers. ———. 1895 -f. ‘Engels to Richard Fischer in Berlin, London, 13 February 1895’. In Marx and Engels Collected Works, Vol. 50, 444-45. Moscow: Progress Publishers. ———. 1895 . ‘Einleitung (1895) zu Karl Marx’s “Klassenkämpfe in Frankreich 1848 bis 1850″‘. In Marx Engels Gesamtausgabe, Vol. I.32, 330-51. Berlin: Akademie Verlag. Hunt, Tristram. 2010. Marx’s General: The Revolutionary Life of Friedrich Engels. New York: Picador. Johnstone, Monty. 1971. ‘The Paris Commune and Marx’s Conception of the Dictatorship of the Proletariat’. The Massachusetts Review 12 (3):447-62. Kautsky, Karl. 1899. Bernstein und das sozialdemokratische Programm: Eine Antikritik. Stuttgart: Dietz. Lenin, V.I. 1918 . ‘The Proletarian Revolution and the Renegade Kautsky’. In Collected Works, Vol. 28, 227-325. Moscow: Progress Publishers. Miliband, Ralph. 1991. ‘Dictatorship of the Proletariat’. In A Dictionary of Marxist Thought, edited by Tom Bottomore, 151-52. Oxford: Blackwell. Möser, Sandy. 1990. ‘Zur Weiterentwicklung der Revolutionstheorie in Friedrich Engels’ “Einleitung zu Karl Marx’ ‘Klassenkämpfe in Frankreich 1848 bis 1850′” und zur unmittelbaren Wirkung dieser Arbeit’. Beiträge zue Marx-Engels-Forschung 139:139-44. Tudor, Henry, and J.M. Tudor. 1988. Marxism and Social Democracy: The Revisionist Debate, 1896-1898 Cambridge: Cambridge University Press. Van Ree, Erik. 2015. Boundaries of Utopia – Imagining Communism from Plato to Stalin. London: Routledge. 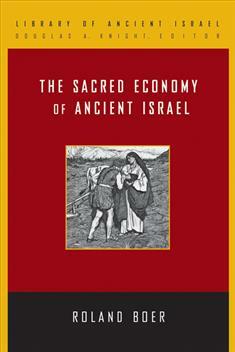 For a useful overview of the events, see Möser (1990). But who are the revisionists? Is Liebknecht one of them? Engels obviously thought so in 1895, with his efforts to water down the militant emphasis upon which he and Marx had always insisted. Yet Liebknecht would become part of the Spartacus League, being a leader of the Spartacist Uprising on 1919 in which he (and Rosa Luxemburg) were murdered. How about Kautsky? Lenin identified Kautsky as a ‘renegade’ due to his advocacy of the ballot box and decrying of the Russian Revolution (Lenin 1918 ). Was is Bernstein (1993, 1899) with his advocacy of peaceful transition once the bourgeoisie saw the benefits of socialism. Now Kautsky becomes a radical, for he opposed Bernstein as the chief theoretician of the second generation (Kautsky 1899; Tudor and Tudor 1988). Louis Napoleon was now the idol of the European bourgeoisie. Not only because he had ‘saved society’ on December 2, 1851, when he destroyed the political rule of the bourgeoisie, it is true, but only to save its social rule. Not only because he showed that, under favourable circumstances, universal suffrage could be turned into an instrument for the oppression of the masses. Not only because, under his rule, industry and trade and notably speculation and stock exchange machinations advanced to a degree previously unknown. But, first and foremost, because the bourgeoisie saw in him the first ‘great statesman’, who was flesh of their flesh, and bone of their bone. He was an upstart like every true bourgeois. ‘A dyed in the wool’ Carbonari conspirator in Italy, an artillery officer in Switzerland, a debt-burdened tramp of distinction and special constable in England, yet constantly and everywhere a pretender to the throne, he had prepared himself by his adventurous past and moral failings in all countries for the role of Emperor of the French and ruler of the destinies of Europe, as the exemplary bourgeois, the American, prepares himself by a series of bankruptcies, genuine and fraudulent, for the role of millionaire. ‘The Role of Force in History’ (MECW 26: 461-62). Let us, however, discuss present-day trade in a little more detail. Consider through how many hands every product must go before it reaches the actual consumer. Consider, gentlemen, how many speculating, swindling superfluous middlemen have now forced themselves in between the producer and the consumer! Let us take, for example, a bale of cotton produced in North America. The bale passes from the hands of the planter into those of the agent on some station or other on the Mississippi and travels down the river to New Orleans. Here it is sold — for a second time, for the agent has already bought it from the planter — sold, it might well be, to the speculator, who sells it once again, to the exporter. The bale now travels to Liverpool where, once again, a greedy speculator stretches out his hands towards it and grabs it. This man then trades it to a commission agent who, let us assume, is a buyer for a German house. So the bale travels to Rotterdam, up the Rhine, through another dozen hands of forwarding agents, being unloaded and loaded a dozen times, and only then does it arrive in the hands, not of the consumer, but of the manufacturer, who first makes it into an article of consumption, and who perhaps sells his yarn to a weaver, who disposes of what he has woven to the textile printer, who then does business with the wholesaler, who then deals with the retailer, who finally sells the commodity to the consumer. And all these millions of intermediary swindlers, speculators, agents, exporters, commission agents, forwarding agents, wholesalers and retailers, who actually contribute nothing to the commodity itself — they all want to live and make a profit — and they do make it too, on the average, otherwise they could not subsist. Gentlemen, is there no simpler, cheaper way of bringing a bale of cotton from America to Germany and of getting the product manufactured from it into the hands of the real consumer than this complicated business of ten times selling and a hundred times loading, unloading and transporting it from one warehouse to another? Is this not a striking example of the manifold waste of labour power brought about by the divergence of interests? Can a religious person join the communist party? One would expect that the answer would be a resounding ‘no’. Is not Marxism a materialist philosophy and political movement, with no time for the mystifying effects of religion or indeed for reactionary religious institutions? The catch is that communist parties around the world have actually permitted religious people to join and be members. Let us go back to the First International. It was accused by the reactionary right and indeed by former comrades of requiring atheism for its members. On the other side, the anarchists wanted the International to declare itself atheist, abolish cults and replace faith with science. What was the response of Marx and Engels? While Marx asserted that he was an atheist, he made it quite clear that the International itself did not make atheism a prerequisite for membership – ‘As if one could declare by royal decree abolition of faith!’ As for Engels, he repeatedly pointed out that anyone who suggests that the International ‘wants to make atheism compulsory’ is simply guilty of a lie. Why did they take this position? The first reason was that they saw religion as a secondary phenomenon, arising from alienated socio-economic conditions. Any direct attack on religion would divert the movement from its main task. Second, ‘atheism, as the mere negation of, and referring only to, religion, would itself be nothing without it and is thus itself another religion’. The third reason is that they would simply be copying a bourgeois anti-religious program, which would – and this is the fourth reason – split the workers from the prime task of overcoming socio-economic oppression. The Second International took an even more explicit position. It followed the Erfurt Program of 1891, of the German Social-Democrats: ‘Declaration that religion is a private matter [Erklärung der Religion zur Privatsache]’. A key question debated at the time was whether a priest or minister could join the party: the answer was yes, but if the minister found the party program conflicted with his own positions, then that was a matter for him to resolve. Perhaps Lenin and the Bolsheviks provide us with a clear example of demanding atheism from party members. Here too we will be disappointed, for Lenin – as a good ‘Erfurtian’ – took the position of the Erfurt Program. To be sure, Lenin argued for a radical separation of church and state, and that the party must not leave religion alone in propagating its position – so that religion was also very much a public affair. Yet this did not lead Lenin to propose that party membership applications should include a question on religion and atheism. Even though a socialist may espouse a materialist worldview in which religion is but a medieval mildew, even though the party may undertake a very public and unhindered program of education against the influence of the church, and even though one hoped that the historical materialist position would persuade all of its truth, the party still did not stipulate atheism as a prerequisite for membership. Even more, no one would be excluded from party membership if he or she held to religious belief. As Lenin stated forcefully: ‘Organisations belonging to the R.S.D.L.P. have never distinguished their members according to religion, never asked them about their religion and never will’. Surely the Cuban Communist Party bans religion for its members. It did so initially, but even then many of the members professed atheism while maintaining religious observance at home. So at the fourth congress of 1991 it decided to remove ‘religious beliefs’ as an ‘obstacle’ anyone who sought to become a member. Indeed, in the Central Committee’s Report to the sixth congress of 2011, it was noted that ‘congruence between revolutionary doctrine and religious faith is rooted in the very foundations of the nation’. To back this up, a statement from none other than Fidel Castro (in 1971) was used: ‘I tell you that there are ten thousand times more coincidences of Christianity with Communism than there might be with Capitalism’. It is becoming difficult to find a communist party that requires atheism of its members – at least until we come to the Chinese Communist Party. Here at last is a party that officially bans religious belief among those seeking to become members. Indeed, in the process of becoming a member, a candidate is asked whether he or she has professed any religious beliefs. Anyone found to have done so is called upon to rectify such beliefs. According to Professor Li Yunlong, from the Party School of the CPC Central Committee, ‘Party members are banned from joining religions. Believing in communism and atheism is a basic requirement to become a Party member’. At last we have a communist party that is explicitly atheist, banning aspiring members who might be otherwise. Yet, there is a typical Chinese twist: one must be an atheist upon entry to the party, but should one become religious at a later point, then little is usually done – at least if one keeps such beliefs discreet and exercises them along officially recognised channels. ‘Record of Marx’s Interview with The World Correspondent’, 1871, MECW 22, p. 605. Marx, ‘Remarks on the Programme and Rules of the International Alliance of Socialist Democracy’, 1868, MECW 21, p. 208. Engels, ’ Account of Engels’s Speech on Mazzini’s Attitude Towards the International’, 1871, MECW, p. 608. Engels, ‘Engels to Eduard Bernstein in Zurich, London, July 1884’. 1884, MECW 47, p. 173. Sozialdemokratische Partei Deutschlands, Erfurt Program. In German History in Documents and Images: Wilhelmine Germany and the First World War, 1890–1918. Available at www.germanhistorydocs.ghi-dc.org/pdf/eng/513_Erfurt%20Program_94.pdf. Rosa Luxemburg, Rosa Luxemburg Speaks, ed. Mary-Alice Walters, New York: Pathfinder, 1970, p. 132. Lenin, ‘The Attitude of the Workers’ Party towards Religion’, Collected Works 15, p. 404. Lenin, ‘Does the Jewish Proletariat Need an “Independent Political Party”?’ 1993, Collected Works 6, p. 331 fn.